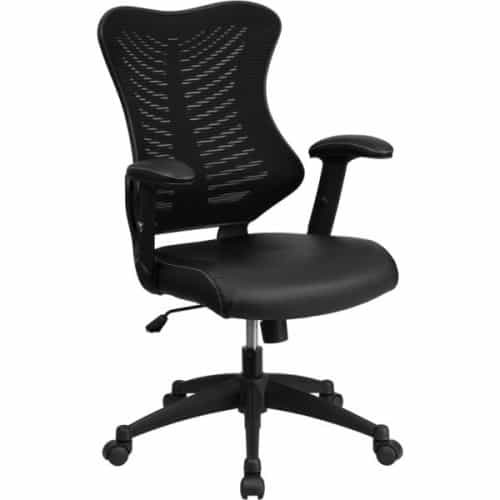 The Allure FlexBody with Leather with a high back designer mesh is one of the leading alternatives to the more expensive Herman Miller Aeron. With the contoured back and free back mesh, the Allure allows ventilation for body heat which accumulates while sitting for long periods of time. Talk about classy! I love my Allure chair and the leather makes it extra luxurious. I have the best, most comfortable looking chair in my office now thanks to Beverly Hills Chairs!